Blow dries that last...and last...and last! Become a Swell VIP and get exclusive benefits like special events, discounts and tips. We wanted some photographic evidence to show how long a blow dry lasts with just one use of Swell. The results were not just SWELL, but natural and honest too! We wanted some photographic evidence to show how long a blow dry lasts with just one use of Swell. So we asked Manja Williams who had never used Swell before to test out our 3-Step System. The results were not just SWELL, but natural and honest too! 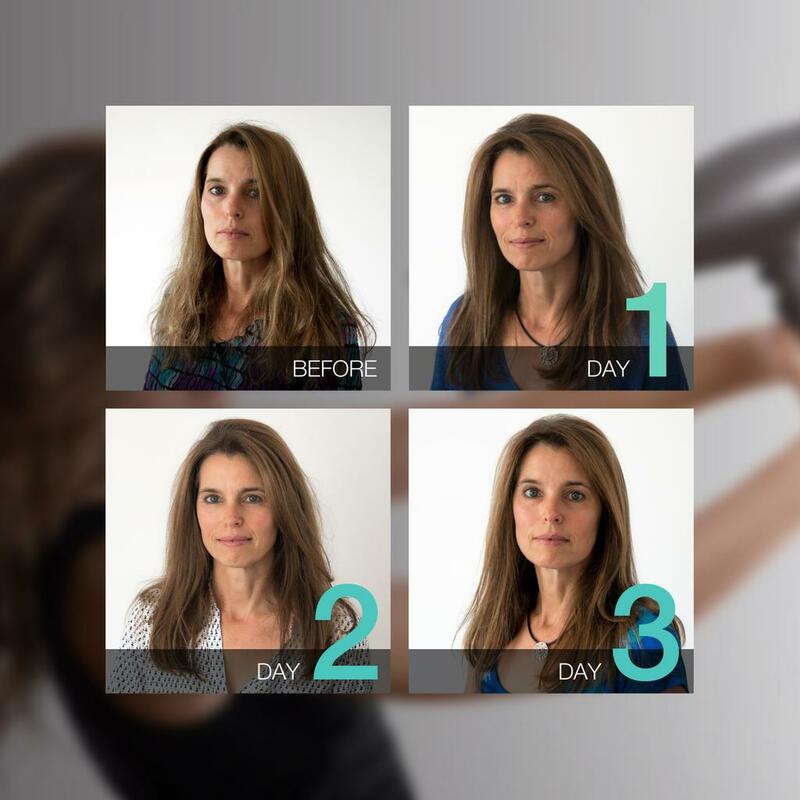 Manja used Swell's 3 Step System just once and we photographed her just before Swell and then on 3 consecutive days following use. No crazy back brushing, No camera tricks, No Photoshopping... just pure Swell. Above are the amazing results. We challenge you to find this level of body and condition that lasts with any other volumizing brand! So how does Swell get such market-beating results? It's all in the formulas. We spent 2 years perfecting the Swell formulas so they satisfied us as well as our customers. Swell contains 18 botanical actives that give the instant wow effect from Day 1 as well as long lasting blow dries and hair that becomes naturally fuller and thicker the longer you use it. Whether you have baby fine hair or hair that is thinning Swell can help optimise the hair you do have and help make it stronger and thicker when used regularly.